About 200 artists and crafters will display works in a variety of mediums Sept. 8-9 at the Brandywine Festival of the Arts, in the Josephine Gardens of Wilmington’s Brandywine Park. The festival, in its 57th year, features live music, children’s activities and a wide selection of local food vendors in an enlarged outdoor café area. Familiar faces and first-time exhibitors from at least 17 states and the District of Columbia will display their paintings, jewelry, pottery, photography and other works side by side at the juried show, recognized as one of the best in the mid-Atlantic region. Wilmington jewelry designer Olga Ganoudis, a longtime exhibitor at the festival and licensed jewelry designer for HBO’s Game of Thrones series, will be this year’s featured artist. Images of her work will be prominently displayed on the grounds and she will again be selling her work at her favorite location, on the south side of the festival grounds, near the Brandywine. “I like to give my collectors a sense of discovery, and the marriage of tones and textures enables me to achieve this with the metal,” she says. At least 10 of the participating artists say they have exhibited at the festival for 20 or more years. Familiar names include Ganoudis, floral decorator Judy Tippett, woodcarver Ray Briscoe, leatherworker Clay Rosenbarker, jewelers Allen and MuMin Jacobson, and painters Penny Sanford, Rick Phillips and Sandy Askey-Adams. Among the more than 60 first-time exhibitors are 16 emerging artists, those who have had limited exposure at highly regarded events like the Brandywine Festival of the Arts. While most festival participants are from Delaware, Pennsylvania, Maryland and New Jersey, this year’s roster features artists from as far away as California, Texas and Florida. This year’s food vendors include Homegrown Café, Caffe Gelato, Whereabouts Café, Famous Sgt. Balan BBQ and Grill, Brady’s Surf & Turf, Koi on the Go, Red Bandana Kettle Corn, and Billy Thompson’s Food Tent, plus ice cream cones and cups served by Hy-Point Dairy Farms. Several organizations will offer special activities for children. The blend of fine art, food and music offers visitors of all ages plenty of options to shop, eat, listen and relax. “Whether you’re looking for artwork to brighten your home or to get an early start on holiday shopping, visitors will be pleased with the dozens of choices that await them,” says Barry Schlecker of Barry’s Events, the festival’s producer. 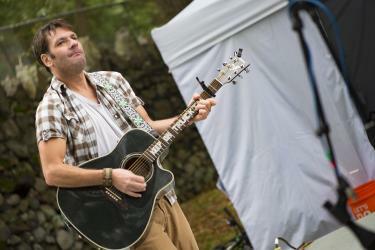 The festival, begun in 1961 as the Brandywine Arts Festival, a street fair in downtown Wilmington, has become a much-anticipated end of summer celebration, now held the weekend after Labor Day in Brandywine Park in Wilmington. 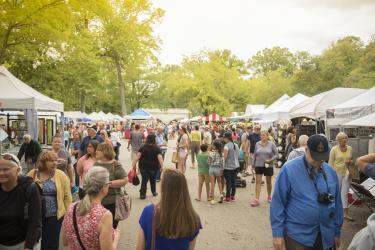 It was renamed the Brandywine Festival of the Arts when Barry’s Events took over its operation. 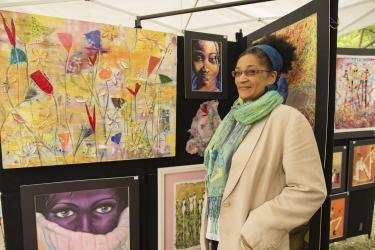 For more information, see www.brandywinearts.com or visit Brandywine Festival of the Arts on Facebook.